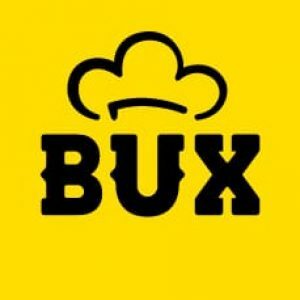 BUX lunch – Food for a brilliant team of BUXers – and for you to try at home too! Preheat oven to 180°C. Place the flour, sugar and butter in a large bowl and mix well to combine. Press half the crumble mixture into the base of a 20cm x 30cm lightly greased slice tin lined with non-stick baking paper. Refrigerate for 10 minutes or until firm. Remove from the fridge and cook for 20–25 minutes or until a light golden brown. Set aside. To make the apple filling, place the butter, apples, sugar, nutmeg and sultanas in a large saucepan over high heat. Cover and cook for 5 minutes. Remove the lid and cook for 2–3 minutes or until the apples are soft and the liquid has been absorbed. Spoon the filling over the base in an even layer. Sprinkle the remaining crumble mixture over the apples and cook in the oven for 35–40 minutes or until golden brown. Allow to cool in the tin, dust with icing sugar and cut into slices to serve. what are you looking for to cook?